The location is so excellent. It's in the heart of the down town and near from all transportations, and main tourist attractions too. High level of honesty, and hospitality especially from Mr. Nagi. Wide rooms. The location is good. The hotel is near metro station (5-7 mins walk), bus station (20-30 mins walk) and railway station (20-30 mins walk). The bed was comfortable, the bathroom was clean, there was no noise, so nice and cooperative staff, the location is very good. Location only but everything else needs to be thrown out of it and replaced. The only good thing was driver to the hostel, safe, fast, it was easy to find him. We love this hotel! The staff are so friendly, the location is great! It is in a beautiful old building with high ceilings and wooden floors. Of course it has seen better days but it is pretty clean and comfortable. 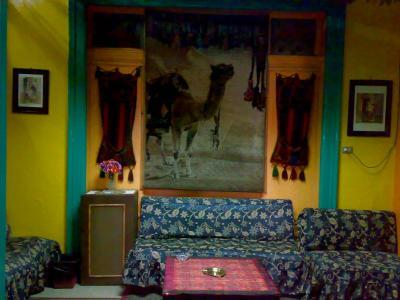 We stayed here first in 2008 and had such happy memories that when we returned to Cairo we wanted to stay here again! This is not luxury accommodation but for us it is perfect for the price. Close to metro and walkable to downtown. There are great local eats nearby. Wifi is pretty good and hot water too. Staff membrers were very friendly and really good. 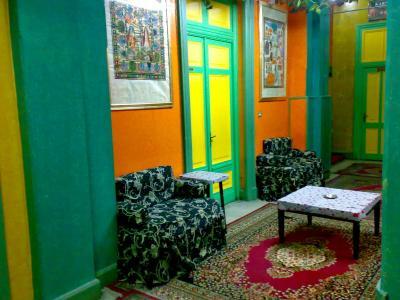 African House Hostel offers budget accommodations and a friendly atmosphere in the heart of central Cairo, a 3 minute walk from Ramses Train Station and 12 minutes from the Egyptian Museum. Occupying a 19th-century building with high ceilings and original hardwood floors, African House Hostel has plenty of original character. At the African House Hostel you can choose from its 16 spacious, private double and triple rooms – some with en suite and some with shared bathroom facilities. Breakfast is included in the room rate and free Wi-Fi is available in public areas. The 24-hour reception allows you to come and go as you please. Cairo’s fascinating markets, famous historic sites and vibrant nightlife are there for you to explore. 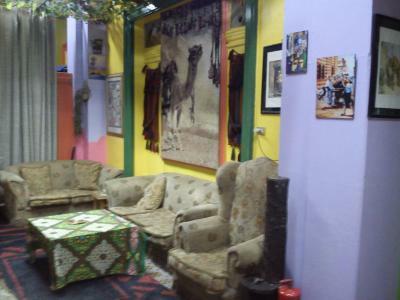 When would you like to stay at African House Hostel? This double room offers 1 single bed and 1 large double bed. This is a single room with shared bathroom. 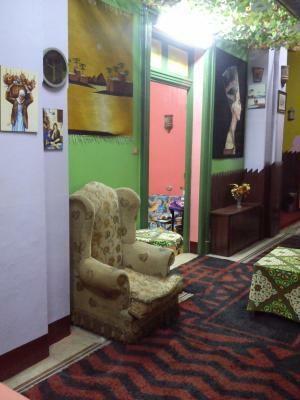 House Rules African House Hostel takes special requests – add in the next step! Wall paint smell was difficult because I am an allergic patient. The room toilet's door wasn't close properly. Alot of mosquitoes but it's easy to handle this situation with insecticide. Room was really dirty, I cannot describe with words how bad was the bathroom, dirty, full of some stains. The elevator in the building was scary, often didnt work. The water was very "unstable". It kept going on and off the whole time. And when the water was on, there's a big chance that there's no hot water. It's so frustrating to take shower in this condition, especially for group traveling in winter like us. Bed's too soft, not good for your back. You'll have to manually carry your luggage up one stair to get to the lift, which only reaches 3rd floor. If you stay on 4th floor, you'll have to carry your luggage up/down one stair again. The staff are slow and they tend to transfer you to other rooms when they have other bookings that require the rooms that you are staying in,i.e. a large group booked a room and the room you booked and staying in at the moment is perfect for that large group. Plus they have a lot of mosquitoes in the room without even providing repellant. Unfortunately our bed was rather tired and saggy.